Girls’ Longterm Outcomes—Suicidality and Depression Study (GLO-SADS) was a longitudinal prospective study that followed 164 adolescent girls who were involved in a randomized clinical trial of Treatment Foster Care of Oregon (TFCO) to young adulthood. A larger project funded by the National Institute on Drug Abuse (NIDA) was the primary study of these young women’s longterm adjustment in areas such as drug abuse, criminal behavior, and romantic relationship functioning. GLO-SADS focused on whether the delinquency-focused TFCO intervention also reduces depressive symptoms and rates of suicide attempt through young adulthood by changing delinquency, teen pregnancy rates, and educational attainment. Dr. Kerr’s primary research interests are in the underpinnings and developmental course of youth psychopathology and health risk. One area of focus has been understanding how suicide risk unfolds over time. In two recent papers, he described patterns of young males’ suicidal thinking from early adolescence to early adulthood, and then tested a model wherein thoughts of suicide are self-perpetuating. That is, suicidal thinking itself increases risk for future thoughts of suicide, beyond the influence of potent risk factors (depressive symptoms, substance use, parental psychopathology). 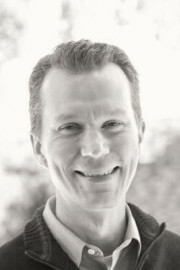 Dr. Kerr also has worked on large studies of hospitalized suicidal adolescents to compare the predictive validity of assessment instruments and dimensions of suicidal thinking; to identify subgroups of adolescents at high risk for suicide attempt; and to understand the effects of a social support intervention on suicidal thoughts and behaviors. Dr. Kerr has recently focused on youth health-risking sexual behavior, as well. He is currently collaborating on projects examining how romantic partners’ risky sexual histories and negative health outcomes are associated over time, and how delinquent girls’ sexual behaviors and outcomes change following foster care placement. Finally, Dr. Kerr works on two studies of the intergenerational transmission of problem behavior and internalizing symptoms. The first, is a prospective study of three generations of individuals. On this project, he investigates how intergenerational continuities in poor and strong parenting, deviant contexts, and individual psychopathology influence youth adjustment and health risk. The second is a large adoption study of gene-environment interactions, in which the effects of biological parents’ characteristics on offspring temperamental risk depend on experiences in the adoptive family. Dr. Kerr is a licensed psychologist.